Although it isn't commented, this Mod is 100% HSFX Compatible? If YES, how can I to install It? today i have installed modact 6.4 confirmed worked fine. one of the best mod .the visual i love of your mods cockpits. 1. The reduction gear oil pressure gauge (left down, at the parking brake handle) shows the wrong indication - all time underpressure (40 pounds). According to the P-39 pilot notes (P-39-Q-1, s.13), the correct indication should be in a range between 70-190 pounds. It corresponds to the green area of the gauge. 2. The propeller pitch lever moves in the opposite direction than it is supposed to (max RPM full forward, according to the USAF movie on YT and the textures in the cockpit). 3. The landing gear lights (red and green) don't work properly. The red seems to be connected to the power lever rather than to the landing gear. The green doesn't flash at all. 4. The lack of the mirror (the old photos prove that it was in the cockpit). 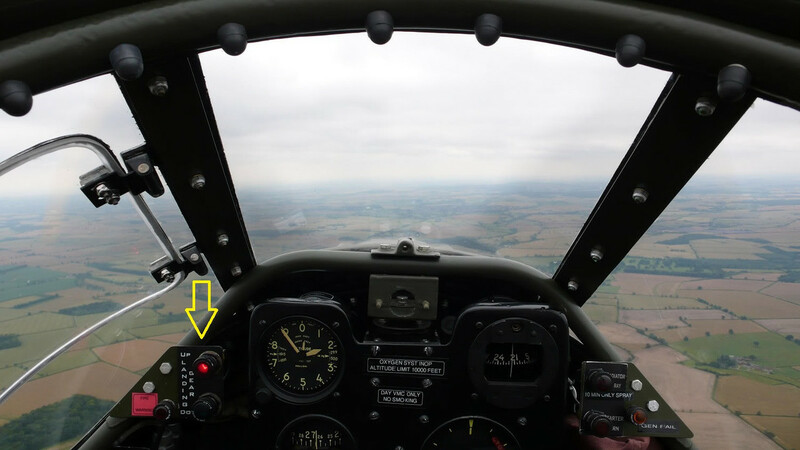 1) Added the altimeter 10s of thousands of feet indicator needle. 2) Separated the action of the gyro and magnetic compass. The gyro now always indicates the heading and has crisp, instantaneous response, instead of mirroring the mag compass' sticking at high bank angle and lagging in response. 3) moved the cockpit night red light so that it no longer causes flicker on my gun sight. 4) Got the carb air temp gauge to show the environmental air temp. 5) Greatly reduced the hyper-sensitivity of the turn rate needle. Formerly it slammed from stop time stop with very small changes to yaw. Now it's in line with proper response. I'll do that--or at least try. Red... Illuminates when at low power setting and landing gear NOT down. Works in the game as it's more or less supposed to, when throttle is below 33%. Green (blue in the stock texture, and perhaps I should revert to that)... Illuminates when testing the circuit for the explosive to destroy the radio. In hier.him, this is called XFlareBlue, and in the classfile is effectively deactivated (because we have no provision for "testing the explosives circuit". . ). I've not looked into the prop pitch matter yet. Perhaps someone more knowledgable in this area can confirm or refute this, before I jump in. When I feel like I've done all I can, I'll release the new stuff. But this might be moot. Barnesy--over at the other site--has recently released a primarily external model rework,faith some interior work done. Of interest to me is the aft cabin, where the radio gear sits. If I am permitted to use this, I'd incorporate into my own project. Better yet, Barnesy should grab my 'pit (I've given him permission) and do his smoothing work on the curved elements. I'm horribly inefficient at this because I don't have a capable 3-D package--I do my stuff with a spreadsheet, which is painfully laborious. The cockpit class I'm altering does not incorporate the opening doors, for example. And there *may* (?) be other aspects that later game versions incorporate. This means that for the opening doors anyway, it would require another modder to look over the changes I've made and port them over to the more recent/modded classfile. Because they're basic functions that would apply to all versions, this would be straightforward. If one is otherwise flying a purely stock plane, or has mods not altering the cockpit class, it *might* be the case that my tweaked classfiles (there are 4, as is typical for each cockpit) would be compatible with most or all game versions. But I would defer to anyone who has a far better handle on this than I do! At any rate, with only the tiniest effort by another modder these changes would be available to all. Thank you! This is absolutely great cockpit.